One week ago, we mentioned Raoul Weil, former no. 3 man at Swiss bank UBS. Today, we learned that he was arrested in Italy. Although the indictment dates back to 2008 and Weil’s former employer has since made amends to the IRS, Uncle Sam has a long, long memory. Obviously a long reach too. Until his indictment, Weil was a member of UBS’ executive committee and the head of the bank’s very profitable Global Wealth Management division. He is charged with a single count of Conspiracy to Defraud the IRS, a felony punishable by 5 years in prison. The IRS does not claim that he cheated on his taxes or failed to report FBAR forms. Instead, prosecutors say he helped Americans do so. Encouraging the use of nominee accounts is quite serious. In our opinion, however, many of the other allegations are not necessarily indicative of criminal intent. For example, the indictment claims Weil offered bonuses to bankers who signed up more American clients. Opening a foreign account is completely legal if properly reported – we can’t see how encouraging bankers to sign up new U.S. clients is evidence of a crime. Whether or not Weil is convicted or acquitted is anyone’s guess. He will likely stand trial next year now that he has been caught. U.S. officials had him arrested after learning that he was in Italy. As we have previously reported, many Swiss bankers are afraid to leave Switzerland for fear they will be arrested on U.S. warrants by Interpol. Weil has been out of UBS for five years. It is questionable whether he has any information still useful to the IRS. A common tactic involves the Justice Department and the IRS teaming up and to arrest bankers, lawyers and accountants associated with foreign accounts. These professionals are often quite eager to make a deal in order to avoid prosecution and prison. That deal usually means identifying customers who have failed to file FBARs or report their offshore income. 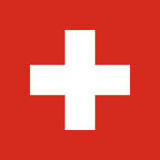 If you have unreported Swiss accounts, it is not too late to come into compliance. The IRS operates on a first contact policy. Generally, people who come into compliance before they are contacted by the IRS can avoid criminal prosecution. Taxpayers with unreported offshore accounts who come into compliance before their names are turned over to the IRS by foreign banks can also take advantage of IRS amnesty programs including the Offshore Voluntary Disclosure Program (OVDP). Need more information? Our team of IRS lawyers has helped taxpayers across the world with FATCA and FBAR problems. We usually offer flat fees for our services. Because we handle many of these cases, we can offer our services for less cost than many other tax lawyers.